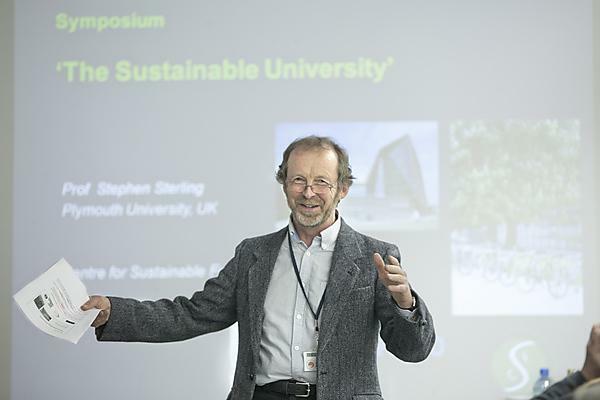 Stephen Sterling is Professor of Sustainability Education in the Centre for Sustainable Futures (CSF) at Plymouth University. A former Senior Advisor to the UK Higher Education Academy on Education for Sustainable Development (ESD), and National Teaching Fellow (NTF), he has worked in environmental and sustainability education in the academic and NGO fields nationally and internationally for over three decades, including as a consultant and advisor on UNESCO’S education for sustainable development (ESD) programmes. Stephen's research interests lie in the interrelationships between ecological thinking, systemic change, and learning at individual and institutional scales to help meet the challenge of accelerating the educational response to the sustainability agenda. As a member of the Teaching and Learning Support staff, he is primarily affiliated to the University's pedagogical research institute (PedRIO), and is a member of the PedRIO Steering Group. 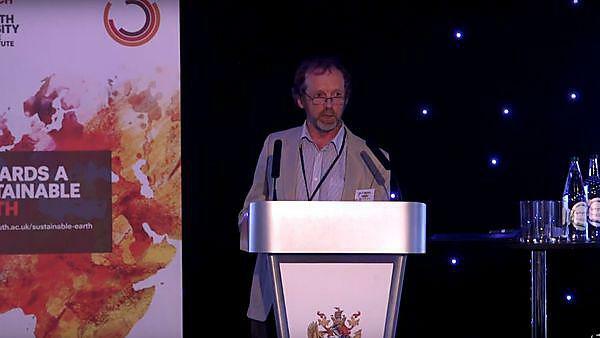 His work at the Centre for Sustainable Futures (CSF) includes leading the research team on sustainability education, and developing strategies to support curriculum change across the institution, and he is also chair of the university's Sustainability Advisory Group. The 2016 Global Education Monitoring (GEM) Report, Education for People and Planet, includes Stephen’s work summarising the contribution of education to meeting the UN Sustainable Development Goals (SDGs). This work originally appeared in a 2015 report commissioned by the International Council for Science (ICSU), where Stephen joined over 40 leading researchers from 21 countries to write a critical review of the SDGs. The GEM report provides an authoritative account of how education is the most vital input for every dimension of sustainable development. Read a summary of this report. In November 2014, Stephen was commissioned by the United Nations Educational, Scientific and Cultural Organization (UNESCO) to write one the three papers informing the UN high-level World Conference on Education for Sustainable Development (ESD), and is currently co-chair of the International Jury for the UNESCO-Japan ESD Prize. The five members of the independent UNESCO International Jury for the Prize on ESD were selected and appointed by the Director-General of UNESCO for a two-year term, based on their independence and reputation in the field of ESD, equitable geographical distribution and gender equality. The members of the International Jury for the UNESCO-Japan Prize. Photo courtesy of UNESCO. Stephen’s book (with David Selby and Paula Jones), Sustainability Education: Perspectives and Practice Across Higher Education was acclaimed by the University of Cambridge Programme for Sustainability Leadership (CPSL) as a 'Top 40 books of 2010'. This was followed by, The Sustainable University - Process and Prospects, which was partly based on Plymouth's sustainability work. His latest book 'Post-Sustainability and Environmental Education: Remaking Education for the Future' will be published by Pivot/Palgrave in early 2017. Plymouth is developing an international reputation for being a lead Higher Education Institution in sustainability education.